With work under way for the demolition of the Civic Arena, Orthodox Christians are gathering in Pittsburgh to remember a historic faith event that took place there in 1963. Nearly 14,000 Orthodox — including 12 bishops, 150 priests and a 1,000-voice choir from all ethnic backgrounds — packed the arena with the dome open. It remains the largest Orthodox gathering in America, according to organizers of this weekend’s conference. The organizers of the 1963 event, mostly veterans of World War II who had founded the Council of Eastern Orthodox Youth Leaders of the Americas, hoped it would spark a move toward a united American Orthodoxy. But that didn’t happen, and CEOYLA faded away. Now a national meeting of Orthodox Christian Laity will examine the lessons CEOYLA offers as a new movement for Orthodox unity is beginning. 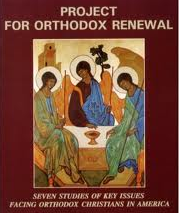 The gathering will begin with vespers at 6:30 p.m. Friday in St. Mary’s Orthodox Church, South Side, and reconvene there Saturday at 8:30 a.m. For more information, see www.ocl.org. “Can you imagine thousands of voices singing ‘God Bless America’ with the dome open?” said the Rev. Patrick Carpenter, pastor of St. Mary’s. A convert to Orthodoxy who was 2 when the gathering was held, he had never heard of it until Bishop Melchisedek of the Pittsburgh diocese of the Orthodox Church in America asked him to host the conference. Only after Father Carpenter mentioned it to his parishioners did they begin to tell him their stories. “Their descriptions of it were powerful. Why aren’t we doing this today? Why did we let it die?” he said. 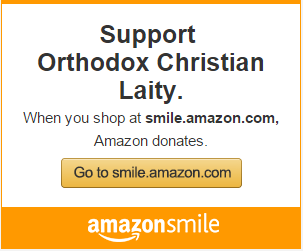 Orthodox Christian Laity was founded in 1987 to work for a canonically self-governing, multi-ethnic Orthodox church in the United States. Some founders were veterans of CEOYLA. They believe the bishops obstructed them out of concern that unity would break crucial ties between American Orthodox and persecuted Orthodox Christians in Cold War Eastern Europe and the Middle East. Orthodox Christian Laity has a sometimes uneasy relationship with today’s hierarchy even as world Orthodoxy has given its blessing for Americans to move toward unity. There are at least 20 Orthodox bodies in the U.S., and together they have more than 1.2 million members. CEOYLA was the vision of veterans who wanted to see their church take its place among the great faiths of America, he said. The Pittsburgh gathering took years to organize. One 14-year-old who attended grew up to become Bishop Basil, the Antiochian Orthodox hierarch from Wichita, Kan., who will address the conference by video. Bishop Nathaniel, primate of the Romanian Orthodox Episcopate of America, will speak in person. In 2009, bishops from Europe and the Middle East authorized steps toward American unity. Mr. Matsoukas believes the bishops should learn from what happened in Pittsburgh. “The people who started this had the Holy Spirit. The Spirit is a fire burning in us, but the Orthodox church in the United States seems to be an ember,” he said.